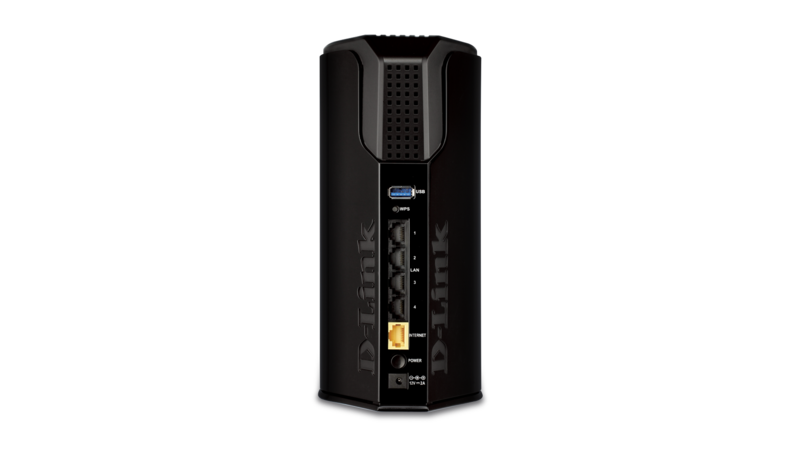 The DIR-868L Wireless AC1750 Dual-Band Gigabit Cloud Router lets you easily connect to, control and monitor your network using the future of wireless technology and unique mydlink™. By downloading the free mydlink™ app you can monitor your home network remotely. Plus, with the included SharePort™ Technology, accessing and sharing your files, playlists and videos has never been so easy. This router creates the fastest home network possible today connecting all of your computers and mobile devices to your broadband Internet connection. Concurrent dual-band 802.11ac with D-Link’s AC SmartBeam™ technology brings you the future of high-bandwidth wireless connectivity, allowing you to stream HD video, make Internet calls, and surf the Internet from every corner of your home without interruption. Gigabit Ethernet ports provide high-speed wired connections for up to four PCs or other devices. Greater Coverage and Speeds with the latest Wireless AC and Revolutionary AC SmartBeam™ Technology. The DIR-868L uses the latest Wireless AC technology, which can provide transfer rates of up to 1.3 Gbps2. D-Link’s intelligent AC SmartBeam™ technology guarantees continuous blazing fast wireless speeds to all your devices, anywhere in your home, even under heavy network utilisation or in rooms that have bad wireless signal. Faster gigabit wireless speeds allow you to download contents and sync files over 4 times faster1 than the previous standard and provide you with whole home coverage. The router operates on both the 2.4 GHz band and 5 GHz wireless bands at the same time using concurrent dual-band technology and six internal antennas. 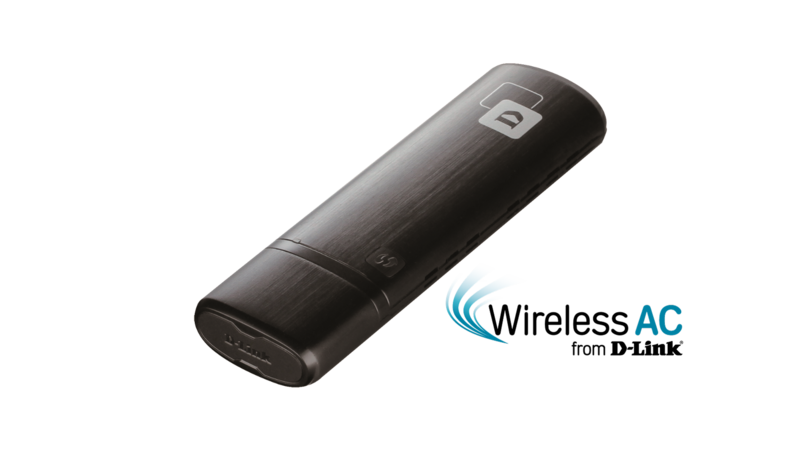 Connect a USB storage device to your DIR-868L to create a shared storage space, making it easy to access and share files between computers and devices connected to your network. Plug in a USB hard drive to stream your library of videos and music to your laptop. Plus, the SharePort™ Mobile app for iOS and Android devices allows you to back up photos and videos stored on your device. You can even customise your shared storage space by creating separate accounts to control access to the USB drive, so you can share your music with everyone but keep your personal files private. Get the DIR-868L up and running in no time right from your couch using the QRS (Quick Router Setup) Mobile app on your iOS or Android device. Simply plug in the router, open the app, and follow a few easy steps to get your home network connected without having to touch a computer. You can also set up a secure network with the touch of a button using Wi-Fi Protected Setup. Simply press the WPS button to instantly establish a secure connection to a new device. If you have additional mydlink™ products, you can take advantage of mydlink™ Zero Configuration. Simply connect your mydlink™-enabled device to the DIR-868L and the router will automatically link it to your mydlink™ account with no configuration required. 1 When compared with Wireless N300. Requires devices that supports 802.11ac wireless standard. 2 When a storage device is connected to your router. File sharing is for local network use only. 3 Maximum wireless signal rate derived from IEEE standard 802.11ac (draft) specifications which are subject to change. Actual data throughput will vary. Network conditions and environmental factors, including volume of network traffic, building materials and construction, and network overhead, lower actual data throughput rate. Environmental factors will adversely affect wireless signal range. We tested the DIR‑868L and were really impressed by its performance. The D‑Link DIR‑868L takes all the best elements of previous D‑Link routers and wraps them into a single package. As such it has superb wireless ac performance, class leading wireless n performance and tops it off with an appealing price tag. 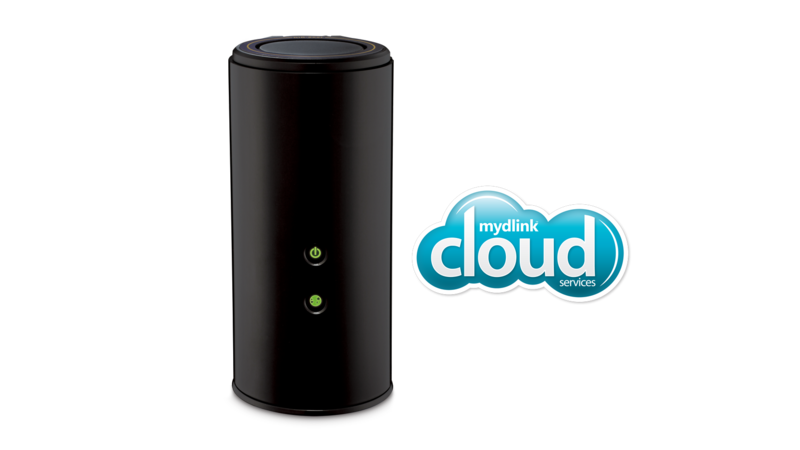 The company's mydlink cloud platform does still need to develop though and we'd like to see a second USB port and activity lights on the Ethernet ports, but otherwise this is truly superb product. D‑Link has been one of the first manufacturers to adopt 802.11 ac, a protocol that promises speeds of up to 1.3 Gbps and operates on the 5 GHz band, much less congested than the 2.4 Ghz. The D‑Link DIR‑868L is the top model of a new series of products that combine performance, ease of use and added value mydlink platform. 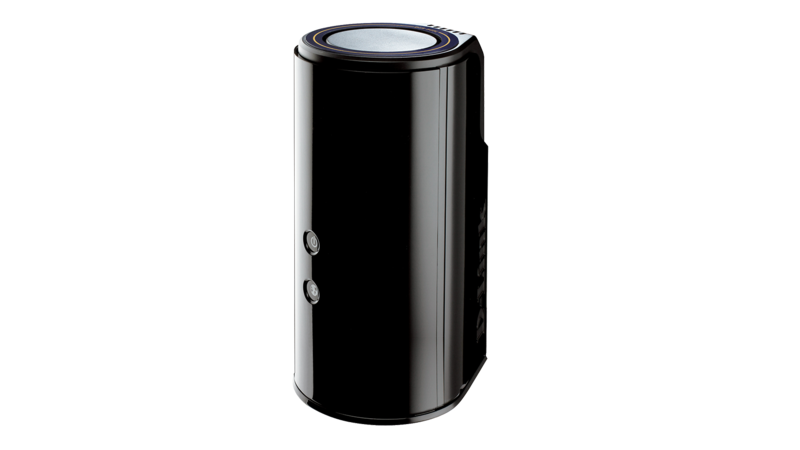 "The D‑Link DIR‑868L Wireless AC1750 Dual Band Gigabit Cloud Router dutifully combines the best components of their previous models into one cylindrical package. As an advanced next generation 802.11ac, it provides a steady connection at a relatively reasonable price compared to the Linksys and NETGEAR offerings, and it’s probably the best router we’ve currently tested." This product was phased out on: 30.6.2018.